Accessing and customizing elements can be performed either at design time, or at run time. To format the items in the drop down you will need to handle the VisualItemFormatting event at in the code behind. You can access and modify the style for the different elements in the editable area of RadTimeSpanPicker by using the Element hierarchy editor. 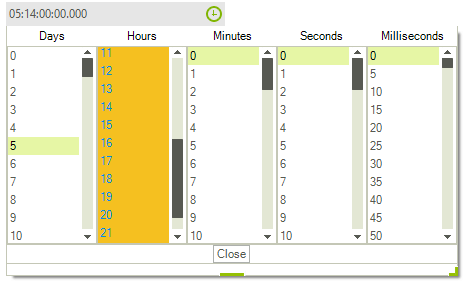 The drop down consist of several ListControlElements which represent the time span components. To change their styles you need to handle the VisualItemFormatting event.